HomeBlogFacebookHow to change Facebook password? This article will make you learn an easy way to understand the steps to change the Facebook password. Facebook is one of the most popular social media websites which is used almost over the world. It is a social networking site launched by Mark Zuckerberg on 4 February 2004. Mark Zuckerberg founded with the bunch of his college roommate and fellow Harvard University student Eduardo Saverin. Facebook network service made a remarkable success in over the world in a very short period. After the Google being popular for the online business, Facebook started to provide the option for an online business to the customer in 2007. For the business and personal database security purpose Facebook upgrade the server security and tack a lot of changes. 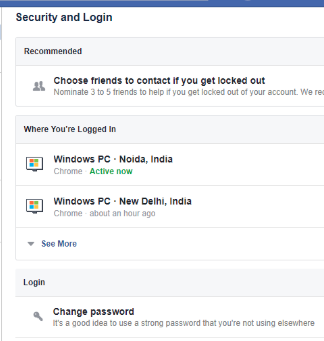 Hacking of the Facebook profile is very uncommon But after all the security upgradation we see hacking of your Facebook account and profile password. Or someone else using your profile without your permission and awareness. 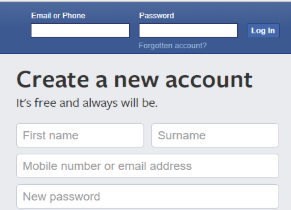 This article teaches you how to reset or change the Facebook password to lower the chances of Hacking. You can take help of password recovery team in case of hacked Facebook account. When you receive an email from Facebook regarding Facebook log in over a different device. Change your Facebook password afterward in your device, When you have logged into your friends mobile or PC. When you have forgotten your login password. You can follow this quick steps to change your Facebook password. Type http://www.facebook.com in the browser column. In the second option type your Facebook user I.D and password. 3. 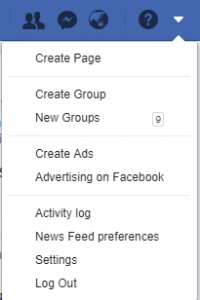 After you open your Facebook account page right side click at the setting dropdown and go to the setting downside as you see in the picture. 4. In the fourth option open itself open the general setting page then click the top option security and login option. 5. After that, itself open the next page and there have many setting options of your Facebook account like, get alerts about unrecognized login, Recovery external account or authorized login etc. but right now you have to need change password so go to edit option of change password as you see in the picture. 6. Now can see the change password option, in the first column you need to type current password which you have currently log into. Then in the second column type new password and then again retype the new password. And at last, you can click on save change as you see in the picture. Now the process for change Facebook password is complete. To check, the password has been changed or not come to the homepage of your profile and click to dropdown which you click the first option for the reset password. 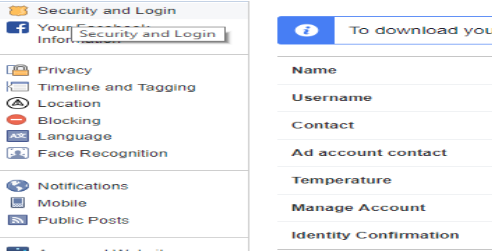 After the log out same login page come which you enter your user I.D and password type the same user I.D and type that password which you change. Hope, you will be able to change your password successfully. Chat with our Facebook support team for more assistance.